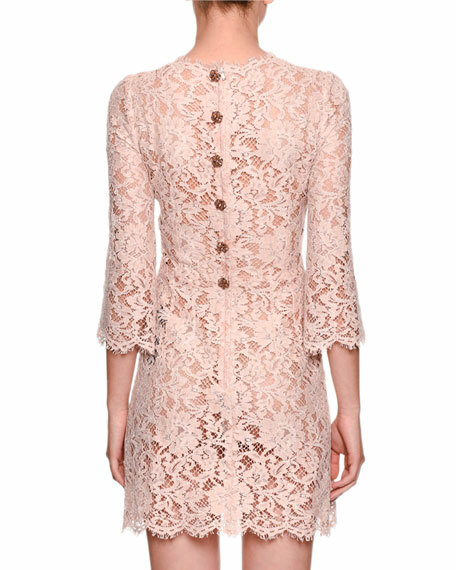 Dolce & Gabbana sheer lace dress. Hidden back zip; decorative jewel buttons. For in-store inquiries, use sku #2351541.